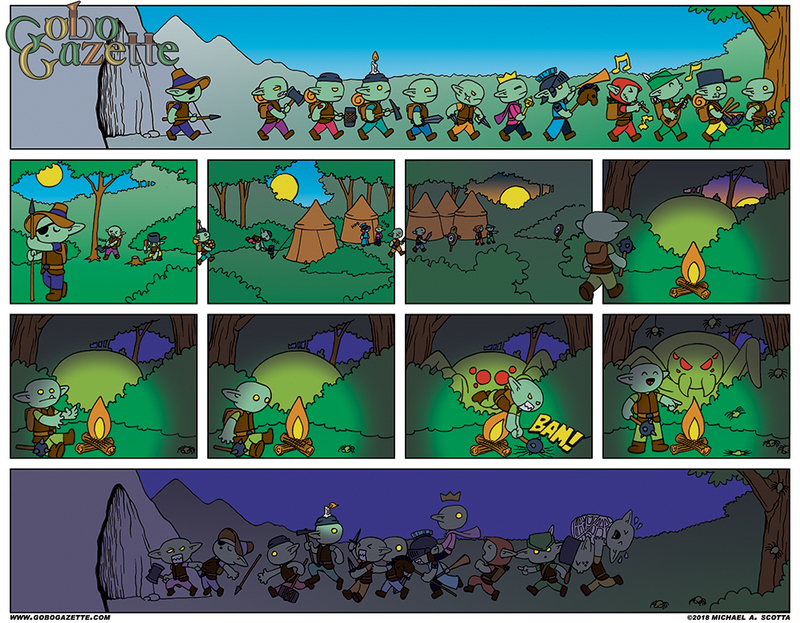 “The Greatest Adventure is What Lies Ahead…” So it begins, the tale of twelve goblins just trying to do their best. And their epic journey has… apparently ended as quickly as it has begun? Over the course of these first chapters, you’ll learn a bit more about our little friends and the misadventures they find themselves in. Once each has been officially introduced (and one has), I will add a cast page which will cover more than just the gobos as well as locations. This comic uses a 4-row format which is larger than the other comics. These large comics act as the cover for each part of the ongoing story. You might also see them used for special pages. What could these special pages be? You’ll just have to keep reading until you find out. Here from WhichWich! Love your work!